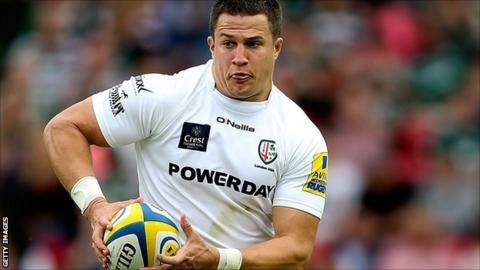 London Irish centre Fergus Mulchrone has signed a two-year extension with the Premiership club. Mulchrone, 28, joined the Exiles in the summer of 2013 from Rotherham Titans and has since gone on to make 28 appearances, scoring six tries. The outside centre, who is both England and Ireland qualified, has started all five games this season. "I'm delighted to have signed with Irish for a further two years," said Mulchrone. "The club brought me in from the Championship last summer and have shown real faith in me. "There are plenty of good things happening at London Irish at the moment, especially on the field, and I'm sure over the coming years we will continue to develop and improve as a side."